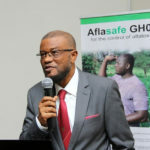 Presenting Aflasafe GH02 -- an all-Ghana solution to fight deadly aflatoxin in Ghana's food, keeping you healthy and making agribusiness more profitable. 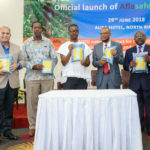 A brief, straightforward guide for Ghanaian farmers on Aflasafe, aflatoxin, and how to use Aflasafe safely and effectively, in English. 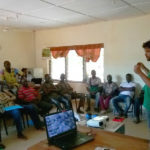 An illustration-rich training guide for Ghanaian farmers on how to use Aflasafe GH02, in English. 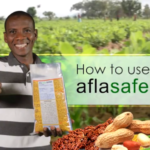 Detailed step-by-step instructions on using Aflasafe GH02 to safeguard against lethal aflatoxin. 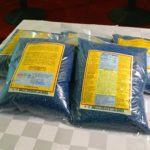 Aflasafe GH02 is specially made for Ghana. 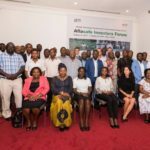 Agbetiameh, D, Atehnkeng, J, Awuah, RT, Bandyopadhyay, R, Cotty, PJ & Ortega-Beltran, A (2018). 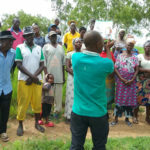 Prevalence of aflatoxin contamination in maize and groundnut in Ghana: Population structure, distribution, and toxigenicity of the causal agents. Plant Disease, 102(4), pp. 764–772.